Welcome to the 16th installment of Past Greatness, a monthly series I'll be doing showcasing great, older works. All albums listed below are of 8+ quality. This month's album takes us on a journey of our own mind's doing, using sound to conjure up the five other senses in a magnificent work of nostalgic art. Few things can be said about Boards Of Canada's immaculate debut that hasn't already been said time and time again. Scan your eyes over any review and the telltale words will appear: Nostalgic, hazy, creepy, gorgeous. They're there for a reason. At one point or another, a devout fan of Music Has The Right To Children will attempt to encapsulate the sensations they're hearing with a blank, buried, and utterly nondescript memory from their childhood. Tuning the rabbit ears on a vintage television set to reduce the static. Racing circles around your body with Hot Wheels cars. Whispering wise crack remarks to your cousins about your aunts and uncles while waiting for the next present under the tree to be yours. Desperately trying, to no avail, to leap over the first set of rocks in Ecco The Dolphin. These are memories burrowed in the subconscious that amount to nothing in particular, other than collectively defining one's childhood, captured in mental time capsules, reminiscing conversation, or blurry Polaroid photographs. One such snapshot is that of a 70's nuclear family, retreating to an unidentified, Scandinavian mountain range, their faces obscured because details are a delicate thing. This is Boards Of Canada's magnificent memory machine. From the first moments of 'Wildlife Analysis,' a fuzzy broadcast transmission tone that acts as Music Has The Right's first of many ambiguous Field Recording interludes, Boards Of Canada's idiosyncrasies are on full display. Few, if any, in the field of Electronic music, prior to 1998 and since, can attest to having as rich and anomalous a sound as the mysterious duo hailing from Scotland. This album is the proverbial benchmark, an uncompromising piece of abstract art that accomplishes sensations only ingestion of mind-altering drugs can emulate. What's perhaps most extraordinary about Music Has The Right is the origin of its inspiration. Music associating strongly with a specific atmosphere is nothing new. The KLF's Chill Out cruised down a stretch of pictorial Americana, Biosphere's Substrata traveled to the cold, harsh, and windy Arctic, and more recently, Burial's style of Future Garage transported listeners to the wet and vibrating streets of London as the clubs let out. Even Vaporwave, which, one could argue Boards Of Canada's style was a precursor of, taps into 90's consumerism and the flirtatious peppiness of shoppers at the Internet's physical beacon; the mall. In all theses instances, and many more, artists took from a tactile sensation. An atmosphere that was built from shared experiences and encounters. Music Has The Right does not do that. 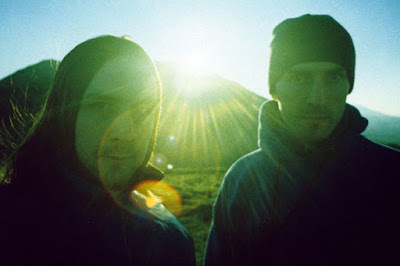 Rather than resemble something real, Boards Of Canada evoked our collective dream state. Their sample usage, whether it's vintage Sesame Street dialogue ('The Color Of The Fire,' 'Aquarius'), playground laughter ('Turquoise Hexagon Sun'), Earth, Wind, & Fire choruses ('Sixtyten'), or chattering bird calls ('Rue The Whirl,' 'Happy Cycling'), toys with the concept of the nondescript. If specifics can't be deduced, masked even more so by a myriad of droning synths inspired by Tangerine Dream, then decisions to fill the gaps are left to the listener. And thus, the nostalgic permanence is born. Similarities can be drawn to the Impressionism movement in art, wherein sparse landscapes were painted with deceptively naked strokes. A house was left unfurnished, a valley devoid of inconsistencies, a city but a mere cloud in the distance. There was never anything too distinct as to pull a viewer out of their personal illusion. Boards Of Canada does the same, preying on our mind's infallibilities by tweaking perception with flat vistas ('Olson'), or cluttering it with amorphous pastiche ('Telephasic Workshop'). Music Has The Right's top priority is to never reveal where or what it is. As the title implies, this is music meant to embody not only the freewheeling imagination of a child, but the yearning an adult seeks when memorializing their respective era of growth. An interesting theory appears in association with this. Many have rightfully called Boards Of Canada's music unnerving, creepy, or disturbing. Which, for an album directly tied to children and their limitless curiosity, is a perplexing statement for someone on the outside to hear. Things should be peachy, and sometimes they are, as we see on the warm and beguiling babble of 'Turquoise Hexagon Sun.' 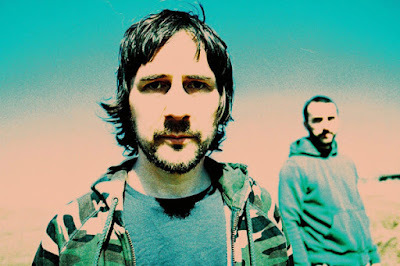 However, more often than not, Boards Of Canada incorporates demented or psychotic elements to their nefarious undertones. Tracks like 'Telephasic Workshop' or 'Aquarius' directly showcase the correlation between a child's ingenuity and a mental patient's feeble mind, as in the latter's case, playful quips, bath time splashes, and an embrace of color ("orangeeeee") gets indecipherably intertwined with a nurse's recitation of number counting that goes ploddingly awry. Therefore, Music Has The Right can just as easily be seen as a nostalgic trip to a time when the world wasn't so well defined as it can a visit to a seedy and prosaic mental asylum, where the world never was. There's muted stereotypes across the LP, including daytime television harmonics ('Bocuma'), self-assured ramblings ('One Very Important Thought'), drab looping mechanisms ('Rue The Whirl,' 'Open The Light'), and even descriptions of everyday activities ('Pete Standing Alone'). Nowhere on Music Has The Right does Boards Of Canada's ceaseless ambition reach higher than the mid-album climax of 'Roygbiv.' This, a particularly impressive feat considering it's the shortest IDM piece here - if we're to exclude the handful of Ambient interludes - clocking in at just 2:32. But within those compressed 152 seconds Boards Of Canada crafts an elastic emotional masterpiece, thwarting expectation by transitioning from one extreme to the next. Beginning unlike all its companions with a pressing bass rather than synth drone or drum kit, 'Roygbiv' steadily morphs from morbid dissolution to existential bliss. By track's end, 'Roygbiv' completes its metamorphosis with sunburnt synths and an endearing child repeating "yeah" backwards. It's also one of the only track's on the album to not dissolve with distancing, as the content held within remains crisp, clear, and unambiguous. For the others, test it yourself. The further away you are from the music, the more incongruous it becomes, a parallel that Boards Of Canada draws to our own fickle memory. Give it enough space and the vibrant array of sounds on Music Has The Right mutates into nothing more than T.V. static. 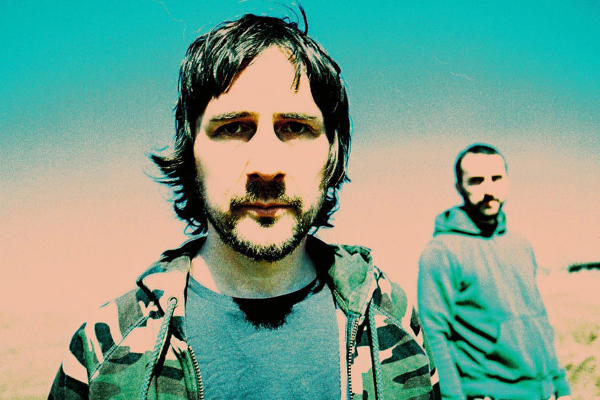 In 1998, Boards Of Canada mastered our minds, using sound to explain the five other senses. The fact that their iconic sound, 20 years later, has not been duplicated is a testament to the duo's incomprehensibly unique palate. Each passing year, the prospects look greater; nothing will sound like Music Has The Right To Children.